Kon-Boot for Windows 2.7NetworkSupported methods and protocols: TCP/IP, NetBIOS, PPPoE, and WLAN (Wi-Fi). You can also import manually after downloading, from the shortcut on the Desktop, or the Start menu, after installing the Wlan driver.Connecting network drives:If you connect a network drive, in the Username field, should be indicated in the format of "computer name \ user name"
Important: subfolders should not have spaces in the namesReplacement of desktop pictures:If you want to change the image of the desktop, you must put your picture in the SSTR\MInst\Wallpaper folder to replace the existing Wallpaper.jpg under the same name (that is, replace its)What is Native ModeThis is a special mode in which the first load specially prepared minimal kernel (without GUI) and works off a script that searches for media (DVD, USB-HDD) with an assembly and installs the "full" kernel. 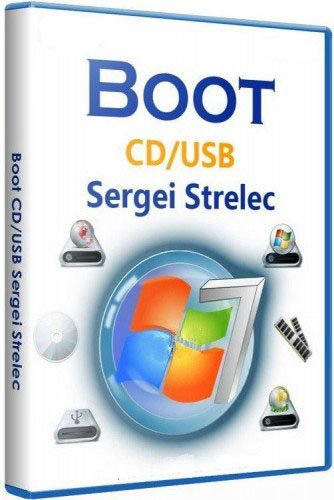 Feel free to post your WinPE 10-8 Sergei Strelec (x86/x64/Native x86) 2018.10.04 Download, torrent, subtitles, free download, quality, NFO, Uploaded.net, ul.to, FileJoker, Rapidgator, Nitroflare, Filefox, Turbobit, Keep2Share, Uploadgig, 1fichier, Uptobox, ClicknUpload, Openload, Streamango Watch HD Movies Series Stream Online, free premium downloads movie, game, mp3 download, crack, serial, keygen, or whatever-related comments here. use only English, Owners of this website aren't responsible for content of comments.